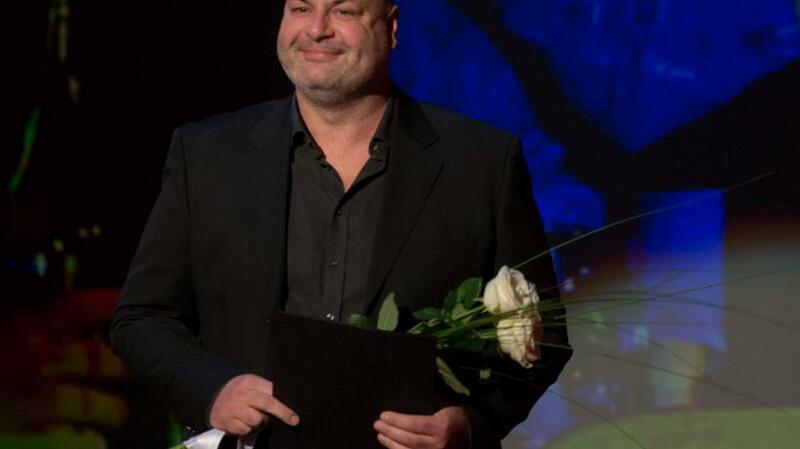 Jernej Šugman, one of the most prolific and most celebrated Slovenian actors, has died at the age of 49. K. S., MMC; translated by K. J.
SNG Drama Ljubljana has confirmed that Šugman died because of a heart attack. "I'm shocked, sad and desperate; I don't know what to say. We haven't just lost one of our best friends and acting colleagues, but also one of the biggest Slovenian actors of all time. At this moment I have no idea how we're going to carry out the rest of the season, as he carried most of the acting load – but at this moment that's least important," the head of SNG Drama Ljubljana, Igor Samobor, told the Dnevnik daily. The Drama Ljubljana actor took on some of the biggest roles, from King Lear and Hamlet to Julius Caesar and Oedipus. He was considered an actor for the most demanding roles. Among his most prominent leading roles was the legendary Baal, directed by Eduard Miler, for which he also received the Borštnik prize for best performance. He shaped roles under director Mile Korun with mature, internalized, boiling yet non-eruptive energy: Maks in "The King of Betajnova" or Komar in "Hlapci", Astrov in "Uncle Vanya", Rogozhin in "The Idiot" or Dmitri in "The Brothers Karamazov", Falac in Strniša's "The Cannibals" and King Lear. Jernej Šugman was also successful on TV, especially in the "Tomato Theater" series where he played the unforgettable doorman Veso. He also starred in the "Gardeners" and "Our Little Clinic" TV sitcoms. Šugman also had an impressive film opus – we watched him in "Predmestje", "Sweet Dreams", "Short Circuits", "Good Night, Missy", "Headnoise" and this year in "Nightlife". His voice was also used in many animated films, among others for the father pig character in "Pujsa Pepa". Jernej Šugman received many awards for his work. Those include three Bortšnik awards with the latest given to him last year for his title role in "Ubu the King" - he also received a golden laurel wreath for the same role at the MESS theatre festival in Sarajevo. Šugman also received several Sever awards for acting and awards from the Stop magazine for best actor of the year. He was not only loved by critics, but he was also one of the most popular actors in Slovenia who could take on both serious and humorous theatre roles. He had an excellent sense for comedy. He had a strong stage presence and prominence, which very few actors have. It will thus be very difficult to fill in for his absence at the SNG Drama Ljubljana. Jernej Šugman was born in 1968 in Ljubljana. Between the years 1988 and 1992 he studied at the AGRFT Academy for Theatre, Radio, Film and Television. He completed his studies by playing the role of Astrov in A. P. Chekhov's Uncle Vanya. He received a Sever award (1992) and a Prešeren award (1993) for students. In the same year he was employed by the SNG Drama Ljubljana, to which he remained faithful until the end. Šugman was the son of veteran actors Zlatko Šugman (died in 2008) and Maja Šugman. Jernej has left behind two sons. Šugman would have celebrated his birthday on the 23rd of December, and had many performances still lined up until the end of this year, including in "bu the King, "Art", "Hlapci" and "Yugoslavia, My Country". He was supposed to appear in "Ubu the King" today.